The Construction Skills Certification Scheme (CSCS) is launching an online service to speed-up the card application process. The cards are used by the majority of contactors and clients to provide proof that individuals working on construction sites have the required training and qualifications for the type of work they carry out. But the process for applying for them has often been painfully slow and handled by call centres run by the Construction Industry Training Board under a deal which is now coming to an end. Graham Wren, Chief Executive at CSCS said: “I am delighted to announce that the new service will go live by the end of 2019. Applying for a CSCS card online will be considerably easier, quicker and more convenient than any other means of application. Applicants will have the choice of applying for their cards using their personal computers, tablet devices or mobile phones. The streamlined service will allow applicants the convenience of submitting their applications at a time to suit them and from any location, without the need to pick up the phone and talk to a service agent. Wren added: “Buying services online is quickly becoming the norm. CSCS emphasised that the scheme will continue to operate as normal while the process of developing the new service takes place. This two-day course is intended for those who have, or are about to acquire, supervisory responsibilities. It provides supervisors with an understanding of health, safety, welfare and environmental issues, as well as their legal responsibilities relevant to their work activities. 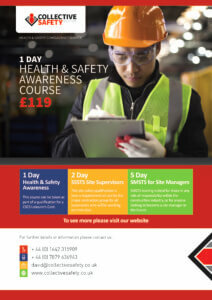 It will highlight the requirement to promote Health & Safety to supervise effectively. Topics covered include the Health & Safety at work act 1974, Management Regulations 1999, Working at Height, Hazards in the workplace. A tool box talk will need to be conducted and presented to the class, as well as undertaking a Risk Assessment. This course is endorsed by the United Kingdom Contractors Group UKCG as the standard training for all supervisors working on UKCG sites and, as such, the course must be delivered as laid out in the following programme. A light lunch will be provided to delegates attending this course in Middlesbrough, but only refreshments at our Darlington location. At the end of the course the delegate will need to complete a multiple choice exam. Make sure its not generic. Schedule it prior to starting the shift. Do it at the coalface on site. Make sure its relevant to something that has happened on site or something that is a potential hazard. Don’t drag it out get to the point short and concise about 10 minutes. Make sure it circulated to all contractors. Encourage hazard spotting and the best hazards spots should be highlighted in the TBT with nominated charities receiving reward. Promoting Safety awareness and getting workers to get actively involved. 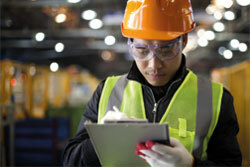 Making workers have a greater Awareness of their surroundings. It provides vital information to workers if delivered correctly you could be having a positive influence on a positive safety culture. It provides vital information on accidents near misses, and causes of accidents, and will encourage the reporting of these. It helps to encourage workers to discuss their experiences that help to review safety procedures in future. 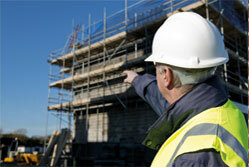 We will now be delivering our CITB accredited courses from our new venue in Darlington. Courses to be held here include the 5 day Site Managers Safety Training Scheme (SMSTS) the 2 day Site Supervisors (SSSTS) and the 1 day Health & Safety Awareness for Green card holders. Construction sites have the potential to be dangerous places – You’ll need quite a few civil engineering and health and safety qualifications before you can start applying for roles like this one. 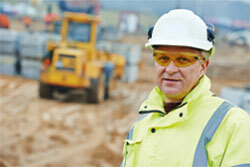 You’ll also need general experience working within the construction industry. Do the CIOB level 4 Certificate in Construction Site Management which is designed for Supervisors and assistant Site Managers who are progressing into the Construction Site Manager role. The Level 4 NVQ Diploma in Construction Site Supervision is aimed at learners working for a principal contractor, but sub-contractor supervisors can also attend this course but will complete the Level 3 NVQ Diploma in Occupational Work Supervision. This route is popular with time served tradesmen such as Carpenters & Bricklayers etc, the hand’s on experience bodes well to undertake this role. You’ll usually be employed by building companies and specialist subcontractors. You can also work for local authorities, government departments, and other organisations like utility and engineering firms. 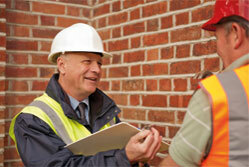 Liaising with clients In charge of health and safety performance of the site. Main point of contact for subcontractors and the public. As a senior manager, you may need to oversee several projects at the same time. We will now be delivering Health & Safety Awareness courses at our new site based in Darlington, to cope with increasing demand. Located just off the A66 on the outskirts of Darlington the new venue is within the Morton Park Training Centre next door to the Morrisons supermarket, with free ample parking and fantastic facilities. Ensure that newcomers to the construction industry are fully aware of the potential Hazards they might might face in this environment, it will provide a practical summary of health and welfare issues. The course will help them identify what is expected of them and there employers what they need to do in the event of an accident or incident, to whom and how they should report any unsafe acts or conditions. How they can contribute to site health and safety in a positive way, have a basic understanding of health and safety law, an understanding of the need for method statements and risk assessments.